Fearful consumers, you will all devour! The relationship between new artistic practices and new modes of production, new forms and new meanings, and the specialized economies they engender—cannot be considered without taking into account the recent transformations in the global markets. The exponential increase in wealth that produced a host of über-collectors and fund managers, whose pursuit of fine art bought them the joy of ownership as well as entrée into a privileged society, has suddenly shifted, and the effect of this newly precarious if not dire financial condition is unraveling with time. Already we see more and more artists turning the ordinary into novel forms, bringing to the forefront a more democratic structure for art practices and their social functions. Among the major figures to have come of age in this cultural milieu is the independent curator, whose importance can be compared to that of the literary critic's in the 1950s or the business consultant's in the 80s. Yet, aesthetically, curators are more like theater directors, and it could be argued that they follow a performance paradigm rather than one based on the object or commodity. We could say they are translators, movers or creators whose material is the work of others—but in any case, the role of mediator is inescapable. While the art critic embodies the generalized gaze of the public, the curator inversely translates the artist's work by providing a context to enable the public's understanding. The expanding geography of the art world, the complexity and interdisciplinary nature of artistic proposals, and the demands of various publics create a situation in which mediation plays an ever more crucial role in the exploration and dissemination of art. It has been my interest to interview those curators who represent or comment on the multiplying centers and hybrid activities articulated into their individual zones of scrutiny. Equipped with a rational understanding of the cultural moment as embodied in an artist's work, they utilize highly distinct strategies to expedite their role as conduit between the artist, the exhibition's institutional politics, and the public. 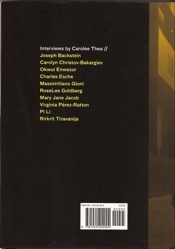 These interviews, conducted over the course of six years, beginning in 2001, address the commonalities and differences among the curators' points of view, tracing a path into the 21st century and perhaps laying an aesthetic foundation that claims a measure of validity regardless of the vicissitudes of the marketplace. The biennial or mega-exhibition—a laboratory for experimentation, investigation and aesthetic liberation—is where the curators' experience and knowledge are tested. As they negotiate venues for artistic expression, intellectual critiques and humanistic concerns in their own societies and others, they are challenged by the certainties and uncertainties of an evolving future. Through innovation and spectacle, they may also contribute to a host city?s evolution into a transnational marketplace for elite consumers. At the same time, they take into consideration the critical shifts within the exhibition system and the aesthetic precedents that have defined our relationship to history and culture. Among the major figures to have come of age in this cultural milieu is It was during the chaotic 1960s and 70s that Robert Smithson and Gordon Matta-Clark attempted to break the barrier between culture and society, innovating strategies that deconstructed the museum paradigm of viewing art. This 1970s imperative fueled the work of American independent curator Mary Jane Jacob, who is today considered a pioneer in the development of new forms of public art. While at the Detroit Institute of Arts in the 70s, she organized numerous exhibitions that championed artists outside the mainstream, particularly those working beyond the so-called art center of New York. She also highlighted women and those employing experimental or non-traditional media. During the 1980s, she was Chief Curator of the Museum of Contemporary Art, Chicago, and of the Museum of Contemporary Art, Los Angeles. In 1990, she left the museum to work in concert with artists on projects conceived for locations where the audience interaction would be more direct, spontaneous and unpredictable. Opposed to art that functions merely on a symbolic or aesthetic level, her ambition has been to unite a community by commissioning artists to create installations that expand on the conventional story of a city's history. This has been the heart of Jacob's project: not entertainment for the post-capitalist city but an aesthetic, intellectual and she continues to elaborate her ideas in ongoing curatorial endeavors. Admittedly, the ideas of Smithson, Matta-Clark and Jacob have been spread through the work of other artists and curators. In the forty-plus years that have passed, exhibitions are now presented in a variety of spaces?some on the skin of the museum, while others utilize architectural strategies, presenting gigantic sculptural constructions in vast atria and lobbies. Many of these spaces are so huge that they are capable of consuming the immense artworks originally created for the public arena, such as Richard Serra's 1997 work, The Matter of Time, in the Guggenheim Bilbao. The rich audience component inspired by Jacob and espoused by Nicolas Bourriaud in his books Relational Aesthetics (1998/English version 2002) and Postproduction (2001) provides the aesthetic philosophy behind the Palais de Tokyo, a place for "installation" and "interactive" art that he cofounded with Jerome Sans. In Bourriaud?s words, "The role of artworks is no longer to form imaginary and utopian realities, but to actually be ways of living and models of action within the existing real." Rirkrit Tiravanija, Jacob's former student, is both an artist and curator. He believes that an artist curating an exhibition "always brings a different methodology and perspective." And like others today he has turned towards trans-disciplinary or collaborative practices to define new modes of bypassing formalist credos and bureaucracy—ones that interact with the social realities of daily life. Some follow Félix Guattari's philosophy, ecosophy, which includes the interrelationship of individuals to their cultural, social, economic and natural environment. Born in Buenos Aires, he divides his time between New York, Berlin and Bangkok. Rirkrit believes that "It's not what you see that is important, but what takes place between people." His famous project, The Land, is a large-scale collaborative undertaking in the village of Sanpatong, near Chiang Mai, Thailand. Inspired by a holistic Buddhist garden, it's a new model for art, living and working as well as a laboratory for self-sustainable development. An inveterate journeyman who enjoys the challenge of complex situations, Tiravanija also co-curated the short-lived, politically censored first Ho Chi Minh City Biennial in 2007. Another curator whose interest lies in testing the exhibition's conventional boundaries is Charles Esche, the curator and director of the Van Abbemuseum in Eindhoven. He believes that "The task... is to move away from the reflexive form of art toward something more unstable and prepositional." He invokes Michel Houllebecq's term "metaphysical mutation" to discuss the need for "a new world order... that challenges and replaces social and civilizational rules." For Esche, the "political moment" in art is not documentary or accusatory, but ambiguous and sensual; it ushers in an instability that enables viewers to effect a transformation in themselves and to imagine the world other than it is." For Istanbul Biennial 9 in 2006, Esche and his co-curator, Vasif Kortun, eschewed the seductive antique sites that were employed by past curators: Hagia Sophia, the Yerebatan Cistern and the Hagia Eireni Museum. Perceiving them as pandering to the dramatic, the focus instead was placed on the working city, not as the collusion of spectacle and marketplace, but as a place where art and artist could function in unexpected ways, expanding and facilitating encounters with both international visitors and local inhabitants. Viewers, some guided by a map of the sites and others by chance encounter, would discover a different kind of trove animating the living city. Since midcentury, deserted buildings—the relics of the Industrial Age— have been converted into exhibition sites. This development has provided artists and curators with an urban equivalent of those desert expanses sought by the 70s land artists as an alternative to established art venues, as well as to create new, permeable environments in which the viewer is meant to participate. In a lecture I once attended, the speaker, Rosalind Krauss, described these spaces poetically as "a ghostly presence, grazing the surface and like an elsewhere, a paradox of being physically present but temporally anterior and locally exotic." For Massimilliano Gioni, Ali Subotnick and Maurizio Cattelan, the curatorial team for the 4th Berlin Biennial in 2006, the choice to place the entire show on one historic street in Berlin was a spatial advance on Krauss' trope. Auguststrasse is made up of several streets that, before the Holocaust, were the marker for a Jewish neighborhood, encompassing a variety of surviving midsize structures: Kunst-Werke, once the home of a wealthy Jewish family that was used as a margarine factory during communist times; a former Jewish girls' school; a variety of small apartment buildings; a dance hall; low-rise offices; a playground and a cemetery. The Berlin team layered the historical dimension with literary inspiration: the title, Of Mice and Men, was taken from the 1937 John Steinbeck novel, and the mood was gleaned from the Bavarian writer W. G. Sebald (1944– 2001), whose novels speak of the struggle to rescue his memories of the apocalyptic aftermath of World War II from oblivion. Out of respect, the curatorial team agreed to preserve the historical resonance of the sites, what Gioni calls "fugitive voices," and treat the biennial artworks only as "guests." One could say that this gesture was a memorial highlighting the history of the city, but on a deeper level, its temporality befitted the site. Designed by the curators as an intimate theater of the absurd, the parcours began at the church and ended at the cemetery?passing through the spaces where our time is spent. The curators also devised a temporal expansion during the two years leading up to the Biennial by starting a column in a local magazine featuring interviews with artists, thereby extending the tenure of the mega-exhibition and increasing its audience. As the founders of Chelsea's Wrong Gallery, they also engaged in what was termed "guerrilla franchising" by setting up a Berlin outlet for Wrong and rechristening it Gagosian Gallery. They followed this with an issue of their magazine, Charley (dubbed for this occasion, Checkpoint Charley), featuring the 700 artists whose works were viewed for the show. Okwui Enwezor once said, "The biennial is an exhibition structure beyond itself, an event that allows for very difficult subject matter. Its function, as defined by planners and curators, is to add intellectual capital, to think about the relationship between the past and present and to experiment with truths." This statement, while having many applications, certainly pertains to the evolving curatorial perception of performance art. Originally, performance art was considered against a background of a political and intellectual battle in cities across Europe, Japan and the U.S. It was a reaction to decades in which the traces of postwar trauma were slowly erased by expanding consumerism. As an extension of Dada and Futurist gestures, the artists deliberately blasted traditional art, forcing it into public confrontation. Today, when inserted into a biennial, often during the vernissage, performance is frequently viewed as a sideshow or a happening. The art historian and impressario RoseLee Goldberg, recalling the 60s and 70s art scene in New York City, where inexpensive downtown neighborhoods provided living and work space for artists, was inspired to found the biennial PERFORMA. Now, after successful runs in 2005 and 2007, it has become a leading venue where, for a three-week period, performance art stars. Goldberg's mission was to establish a much broader understanding of the role that performance plays in the development of artists' ideas and in the history of art. This New York City-based biennial provides a platform for newly commissioned material as well as revivals of early—60s and 70s performances. Of the latter, she has said that their "restagings do not necessarily deny the original intent of the work, but rather raise those earlier questions and force a rethinking." This activity has engendered a debate about the practice of restaging—whether it is a form of nostalgia, a variety of retro, or a reflexive celebration of a failed utopia. Some contend that by ignoring the context, it plays into a market mentality. During the market boom of the past decade, art circulated at a growing rate, perfectly synchronized with the movement of capital and information. Ole Baumann, one of the curators for Manifesta 3, has said, "Don't save art, spend it!" Another, Anselm Francke, the curator for Manifesta 5, said, "Biennials are an optical instrument for showing wealth." Artists and curators have been unavoidably affected by the onslaught of art fairs and consumerism. Some, like Charles Esche, who chose to focus on the transformative interactions of the biennial, seemed to anticipate the lean times ahead by privileging the audience over the object and by utilizing the working city's less seductive structures. Esche's work is viewed as a breach/investigation, meant to alter the trend of spectacle and engage the local population. Carolyn Christov-Bakargiev, co-curator of the first Torino Triennial, however, claims to have no argument with the exhibition as spectacle or with corporate imperialism. She says, "I'm interested in how knowledge is constructed?to observe art on the micro level of a single artwork and see how it's negotiated in the world." Her approach recalls Harald Szeemann's words: "Artists are the best societal seismographs... [they] work on their own, grappling with [their] attempts to make a world in which to survive... and live [their] obsessions." Christov-Bakargiev's selections of art for the Torino Triennial stemmed from the cultural structures in which an artist lives, which provide the work with a new level of understanding, irrespective of governing aesthetics and with respect to the past. This curator views her exhibition as a decoy: a venture that allows artists, through their work, to parody, subvert or illuminate cultural assumptions. For her, each new exhibition can be regarded as a laboratory that informs strategies for new communities of discourse regarding the distinctions that decide what is in the canon or not. Christov-Bakargiev, who has experimented with curatorial inventions in the past, now believes that this practice has become ubiquitous to the point that it is no longer radical, but canonic in itself. As for the confluence of the mega-exhibition and money, she explains that the exhibition/biennial "emerged from a democratic impulse," moving from the private exhibitions before the French Revolution to the idea of the public museum and, later, to the biennial. She believes that today we are in a conceptual decline that relates to the cultural legitimization of the art fair. A fall from grace (if you will), this demise can be traced back to ARCO, which began to feature avant-garde projects organized by a group of international curators. These types of projects and attendant panel discussions have grown to legitimize the congruity between art and the marketplace. Globalization, brought about by technology and the collapse of world political and colonialist configurations, has systematically restructured interactive phases among nations by breaking down barriers in the areas of art, culture, commerce, communication, trade, labor and international migrations. The following curators, each from a different continent, discuss their approach to this issue. Okwui Enwezor, curator of Documenta XI, was born in Nigeria and has lived in the United States for some time. He sees this post-colonial era as offering a model for rigorous thought in regard to the disjunctive and fragmentary aspect of our modern world, one that allows us the opportunity to look at contemporary art in a more complex way. It is his intention not to negate the vitality and necessity of the Western museum model but to task it to confront its own limits with imperatives not yet considered part of its general mission. In his choice to focus on global transformation and post-colonialism, Enwezor employed the documentary as one mode of analysis. The exhibition's temporal and spatial regime, he believes, permits us to experience art and ideas "in the present without making an abstraction out of them or creating an undue ideological distortion." This approach, which overpowered the more conventionally aesthetic works in Documenta, was considered fraudulent by many of his critics and led to lengthy discussions in art-world journals. Enwezor's defense is that the documentary mode provides "greater access to... questions thrown by the unruly history of multiple traditions jostling for space beyond the ideology of neo-liberalism and capitalism." By "representing an excess of reality," it confronts the audience with "the unsavory elements of the abject in contemporary global culture." Edward Said wrote that "culture works very effectively to make invisible and even 'impossible' the actual affiliations that exist between the world of ideas and scholarship... The cult of expertise and professionalism... has so restricted our scope of vision that a positive (as opposed to an implicit or passive) doctrine of noninterference among fields has set in." In this respect, I believe that the strategies in place at Documenta 11 to open the art-making and art-viewing process to the real world were an attempt to correct that narrowness. Today, artists in the globalized art scene have been repeating a diverse and politically correct discourse about the disappearance of borders and trans-cultural crossovers. Some have experienced voluntary or forced economic or political migration. A perusal of recent biennial catalogues reveal that many artists in these shows are now settled in countries other than that of their origin. In this context, divisions between center and periphery, high and popular, primitive and contemporary, would hold the same validity. And today, the multiplication of biennials on a worldwide scale is one of the striking examples of this shift toward a supposedly more diverse and open scenario. The critic and curator Michael Brenson has emphasized the importance of curators being as philosophically and spiritually connected to the international scene as they are to their own countries, taking on the multiple roles of diplomat, aesthetician, economist and critic. They must be conversant with artists, exhibition officials and community leaders, and the art they choose should stimulate dialogue about cultural transformations and global movements. For Viktor Misiano and Joseph Backstein, Deputy Directors for Contemporary Art at the State Center for Museums and Exhibitions ROSIZO, in Russia, these traits had to be especially honed. Their collaboration and concentrated skills led to the first Moscow Biennial of Contemporary Art 2005, dialectics of hope. Backstein and Misiano, along with four international curators, had their work cut out for them; in Russia, there is no museum for contemporary art and the art education system is so conservative that it still maintains a Soviet infrastructure. These directors struggled for more than a few years to convince the Ministry of Culture to give them a budget of 2.5 million dollars to host an international biennial. Backstein said that a major goal of the curators in the planning of the Moscow biennial was the modernization and legitimization of Russia?s contemporary culture. "Visual art is an international language, and to organize a biennial [in Russia] means that the country/society has to become more tolerant, democratic and civilized. Biennials are a means of globalization," said Backstein. "Having once been an isolated superpower... a show such as this means reintegration into the global community." After decades of cultural isolation followed by trans-cultural crossovers, the discourse of the development of post-colonialism and globalization theory in curatorial practice and in art itself can be dangerously homogenizing. Of this, Backstein said, "The biennial is another way to present Russian art in an international context and present international art in the context of contemporary Russian art." He believes that this can be done "without destroying the local myth." The question for him is instead, "how do the global and local connect?" Backstein further elucidates the Russian problem of identity: the founding of the Soviet Union on Marxism, a European philosophy, is at odds with its isolation from European culture under Stalin. It is a particularly Russian problem, one that doesn't affect a decidedly non-Western communist country like China. China's artistic world, even before Mao Zedong, had only a small connection to the West—shared mostly by the intellectual elite who, along with high school graduates, during the Cultural Revolution were sent to farms and deserts for "re-education." The end of the Revolution in 1977 and the rise to power of Deng Xiaoping were perhaps the most important political events in Asia in the second half of the 20th century. Within a few years, we saw the advent of contemporary Chinese art. China also began important trade and domestic reforms, but these were interrupted in 1989 by the Tiananmen Square crackdown; it would be two years before the economic restructuring resumed, which re-ignited an amazing creative and entrepreneurial spirit. For the curator and critic Pi Li, the son of an art historian at Beijing Central Academy of Fine Arts, the 3rd Shanghai Biennial in 2000 was a benchmark: the first of its kind to include both global and Chinese contemporary art. Since then the government has incorporated contemporary art into its cultural programs, employing Pi Li and other professional curators, but it soon became clear to them that such exhibitions served primarily as propaganda and were often censored. Consequently, while continuing to curate these shows, he and a partner opened a commercial gallery. Creating a duality of enterprise connected to the meteoric rise of Chinese art on the international scene may seem like a conflict of interest, but it could be said that China is forging new rules for old Western games. Its mushrooming interest in art rises hand in hand with a desire to be in the lucrative loop. At the time of this interview in 2006, Pi Li was co-curator for Media_City Seoul. Titled Dual Realities, this biennial, hosted by Seoul, South Korea, is a public event that seeks to integrate new technologies with contemporary trans-disciplinary art. Of this event, Pi Li said, "Most Asian cities consider media or digital art as a new creative industrial/commercial movement," and he conceded that "Samsung, Sony and other computer companies sponsor artworks as a form of advertising." He also cautioned that the convergence of art and technology has brought a danger to art, as the viewer's attention shifts to technology and odd visual experiences, and the artist's technological requirements come to obscure his conceptual and critical agenda." Pi Li has since given up all outside curatorial jobs to concentrate on his Beijing gallery, now called Boers-Li. In Latin America, as in other regions, the pressures of globalization have exacerbated the need for new contemporary art events and exhibition venues, but the lack of traditional institutional infrastructures has led to more flexible, self-supporting and inventive solutions to foster new communities. Virginia Pérez-Ratton has developed such an experiment in Costa Rica, TEOR/éTica. A small space with a small budget and large purpose, it has become a cultural center in San José, with exhibitions inside and outside the venue. 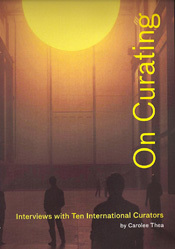 There is an arts library dedicated to contemporary art, design, photography and architecture. The reading room is open to all, six days a week, and its archive houses digital images, print reproductions and slides of Central American and Caribbean artists. As Pérez-Ratton puts it, "We are in an age of multiple centers, and due to frequent travel, communication and exchange of images and information prompted by the Internet and other media, the relationship between localities is becoming increasingly interactive." TEOR/éTica fills a much-needed purpose. Art education in Costa Rica is dominated by European and North American models, and courses in art and art history are from the 1950s. There is a new generation of artists in Central America, however, that is more informed, employing strategies of any international artist, but with a strong relationship to their own social contexts. Pérez-Ratton does not formulate a strategy around identity; instead, she wants to "change the stereotype of Central American art that was once considered exotic" (notwithstanding Costa Rica?s population of 7 percent indigenous) and to "integrate our artists into a larger circuit; taking the Costa Rican artist outside of the comfort zone and to promote exchange with foreign artists." To this end, after seven years under Pérez-Ratton's directorship, TEOR/éTica has organized Estrecho Dudoso (Doubtful Strait), a large-scale event with more than 70 artists from 28 countries. This takes place across several institutions, public spaces and other venues in San José and Alajuela. Propelled by the increasing number of large-scale exhibitions, certain developments irrespective of the markets have emerged around the explosion of interest in contemporary art. It is not enough for contemporary art to become a spectacle embraced by cities and people in all corners of the world. What matters more is that artists and communities are sharing information and mingling cultures at a rapid pace, reinventing themselves through these interactions and through a renewed engagement with the commonalities of everyday life. Cyber-communications and technological innovations may be accelerating these transmutations, but where they will lead continues to unfold before our eyes. © Copyright 2010. Carolee Thea.